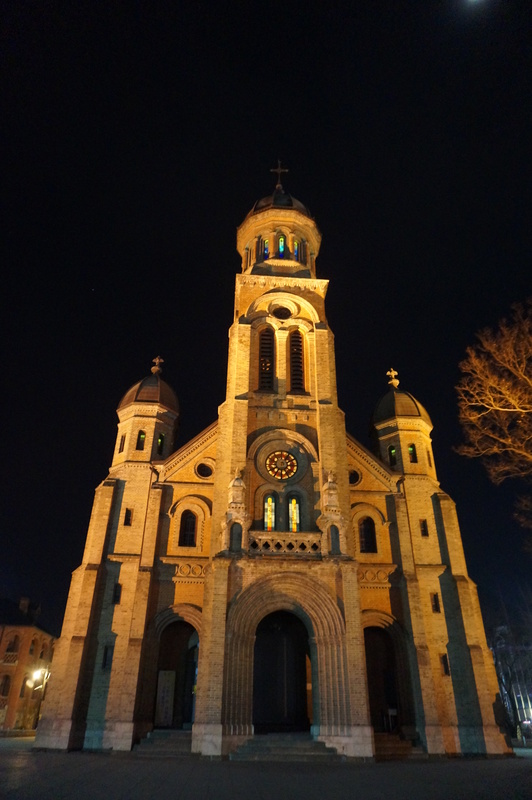 Jeonju ….. Hol….Why didn’t I come here earlier? 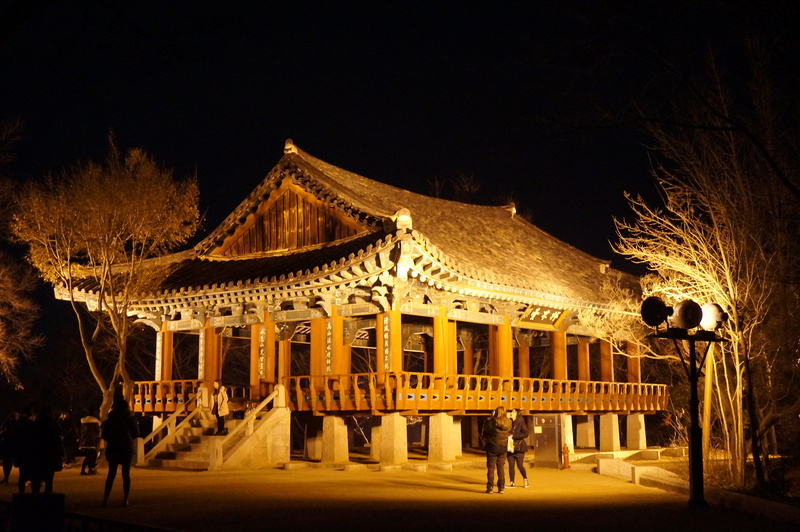 I heard a lot about Jeonju. 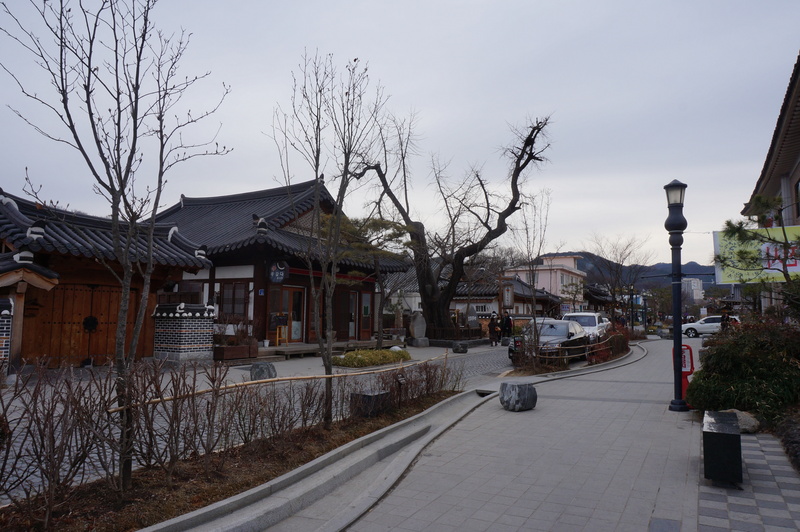 A place with the most Hanok style houses in South Korea. 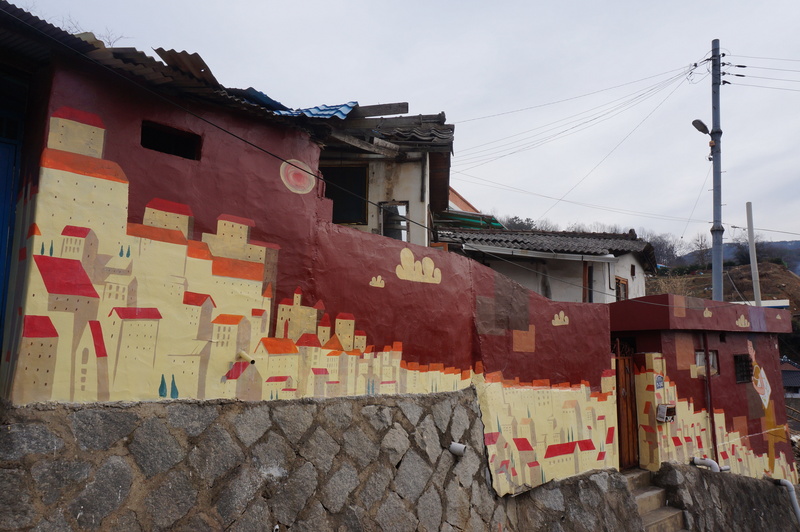 But how many is many can it be and how different it is compared to Hanok Village in Seoul? 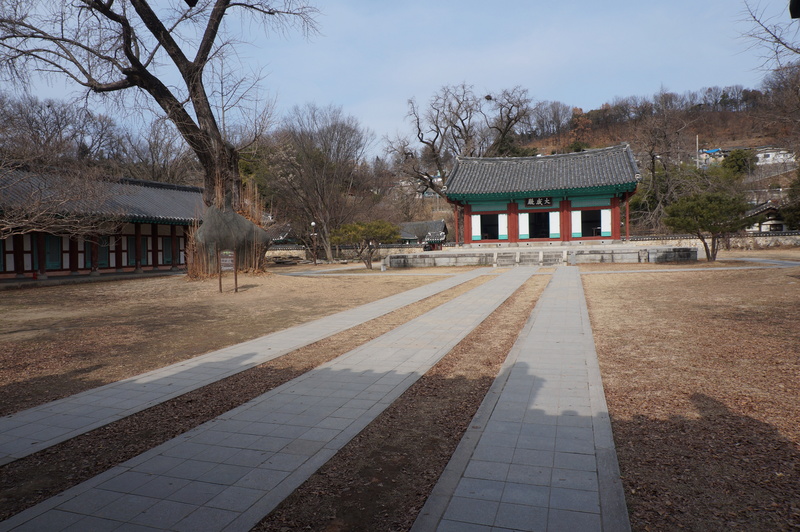 I never give it a second thought and gladly settled with Hanok Village in Seoul’s experience gave me before. 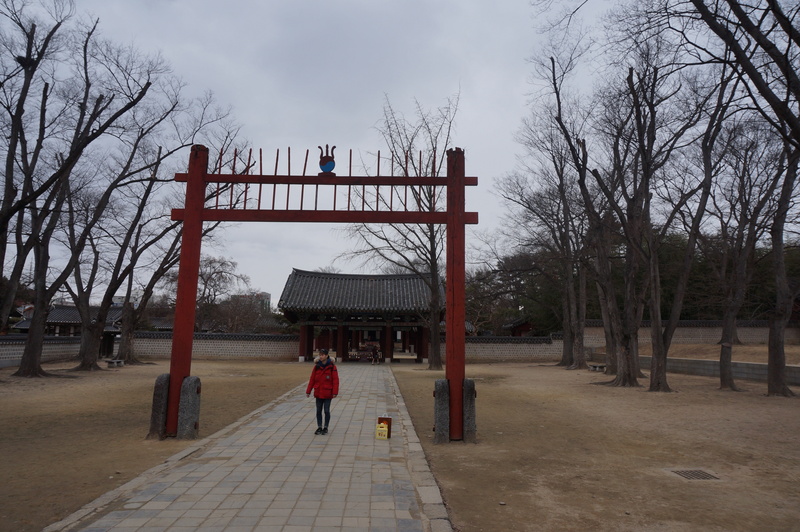 But on one afternoon after my bus safely arrived at Jeonju from Jinju ( sound alike) and a taxi ride to the village, I keep asking either I made a right decision to come here coz Jeonju as for what I saw in 15 minutes just like another city in South Korea. But I was wrong until I arrived at the entrance of the village. 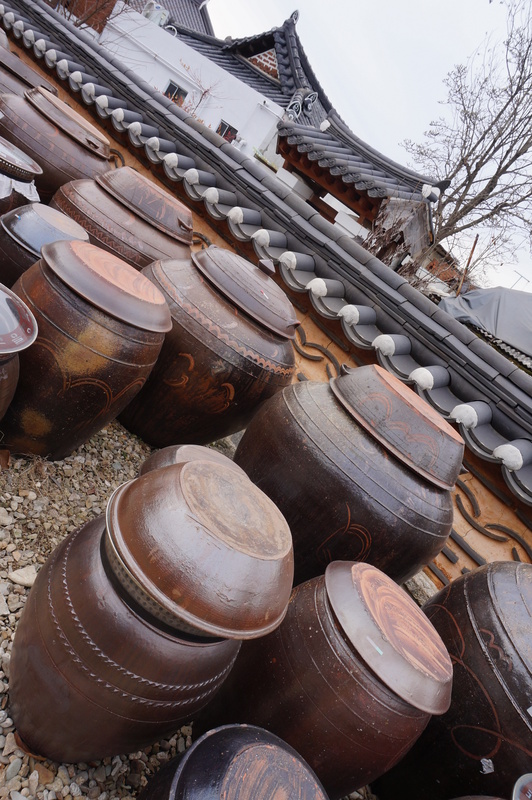 I can’t get enough of Jeonju. 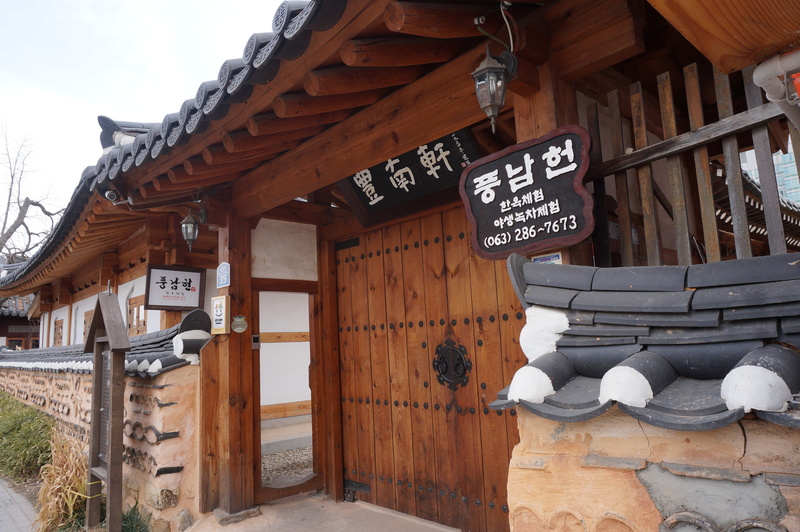 Big and beautiful Hanok style houses converted to coffee shop, restaurant, gallery and accommodation can be found at the main alley. 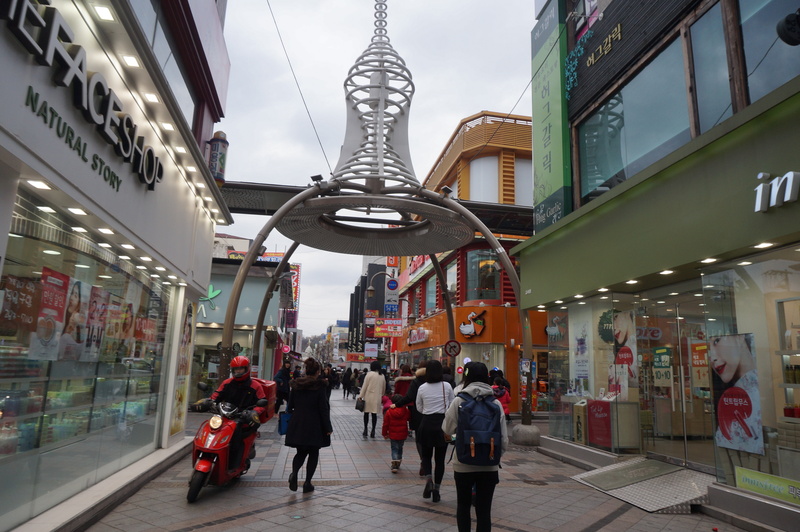 I really took my time, strolling at each alley and enjoy the view, checked out the small and creative shops, and at every back alley you can find new things. And at one time I accidentally found the old confusion school that happen to be the filming site for the famous Korean drama Sungkyuhwan Scandal. 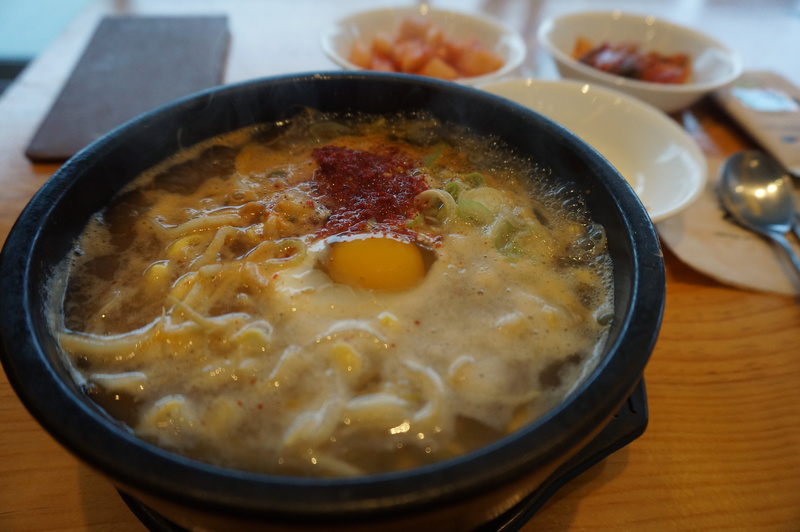 And another must thing to do at Jeonju is to eat Jeonju delicacy. 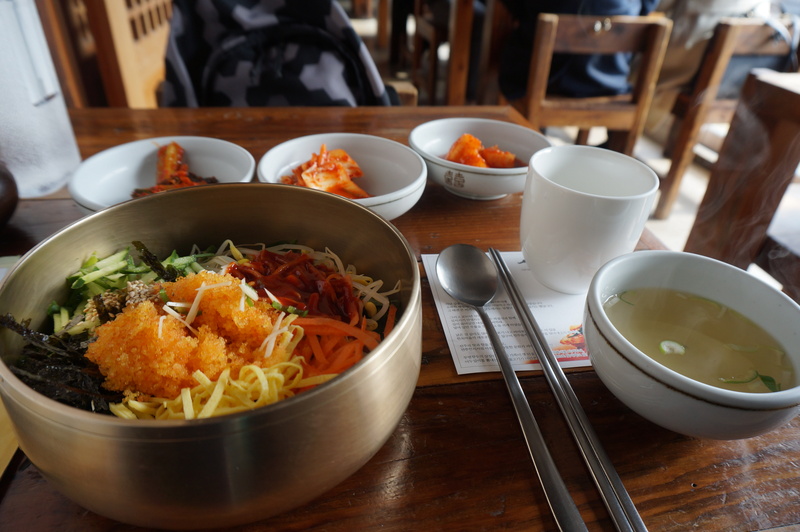 I eat a lot here and fall in love with Jeonju’s food. Jeonju Mixed Rice ((비빔밥/Bibimbap), Rice in Bensprout Soup (콩나물국밥/Kongnamul Gukbab), Loach Soup (추어탕/Chuotang). 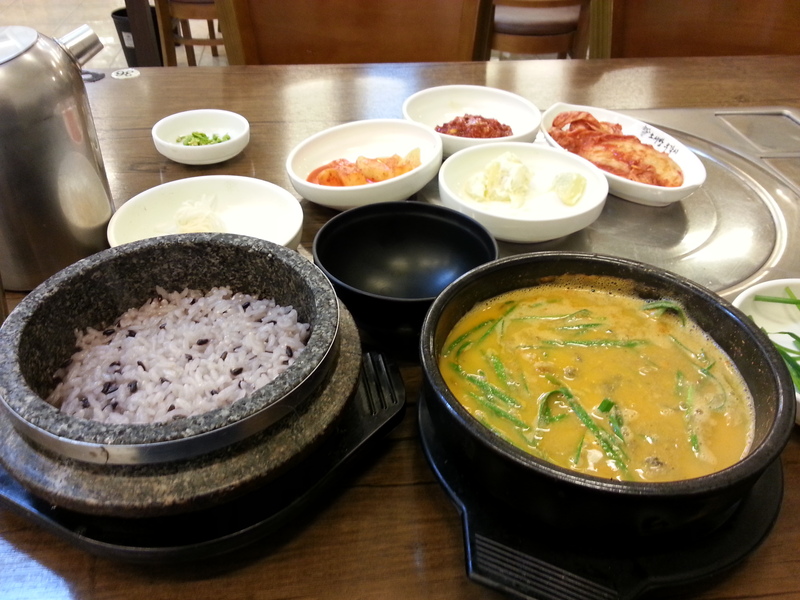 I really want to eat Korean Table Food (한식/Hanshik) where you can eat full course of Korean traditional food. But this dish only can be cater at least 2 people per course, so for a single traveller like me ..its no..no…This is the only thing I felt very offended to enter hanshik restaurant in Korea. 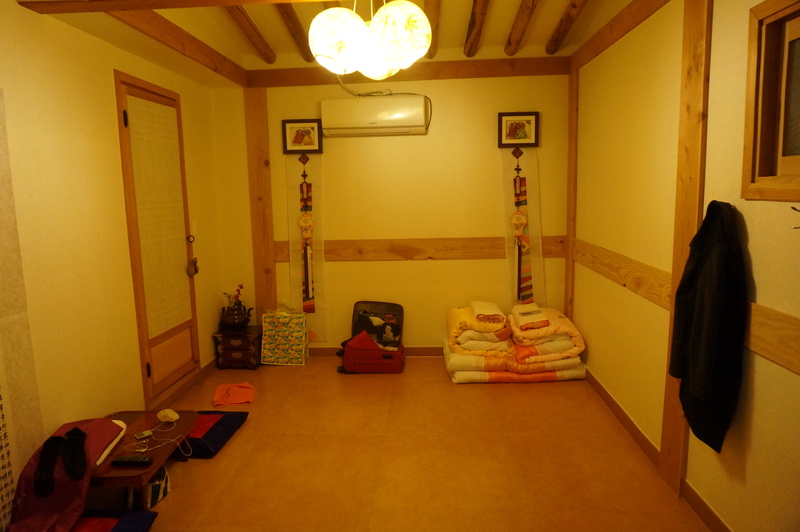 And you will never regret staying at Hanok style house. Sleeping the old style, on the floor, in the room that may aged more than 100 years, it’s just another special and unforgettable experience. It will be more memorable if your night been entertained by strange sounds and explainable one. Either it was due to the house being old or the aircond or just simply coz I was scared knowing that the only human being occupying the whole house that night was me and me alone. I hope these are the only reason.